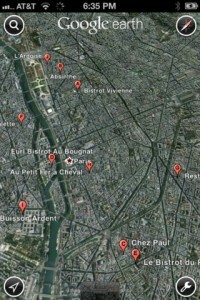 Google Earth iPhone App Review. I'm getting ready for a trip to London this week and I dread the thought of spending countless hours in an airplane seat. Sure enough I can spend that time reading or watching the clouds unfold out the window, but in the end, all I want is to get to London and experience a new city with all its marvels. If you're like me, you're anxiously waiting for the teleporter to be invented. But what if you could fly around the planet with a swipe of your finger? Explore beautiful landmarks, crowded markets or the majestic loneliness of mountain peaks. All this without having to endure the airplane? Sign me up. Actually, it's free and no sign up required. Just download Google Earth from the AppStore and let the journey begin. With Google Earth on the iPhone, there's always somewhere else you can be. Explore beautiful places around the globe by using the virtual tours. Or just use your fingers to pan, zoom and even go 3D in the most beautiful cities of the globe. Google Earth offers you an intuitive touch interface with almost none of the functionality from its desktop software missing. You can explore satellite and aerial imagery, including high-res photos of various locations. The controls are dead simple. Swipe with one finger to rotate the globe. Swipe with two fingers to adjust your view. Pinch to zoom in and out. The transition from one location to another is as smooth as it gets. 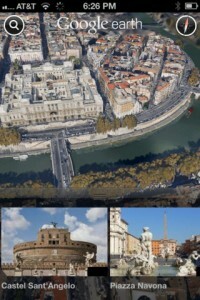 A select few cities also feature 3D recreations. For now, you can enjoy San Francisco, Boston or Rome. 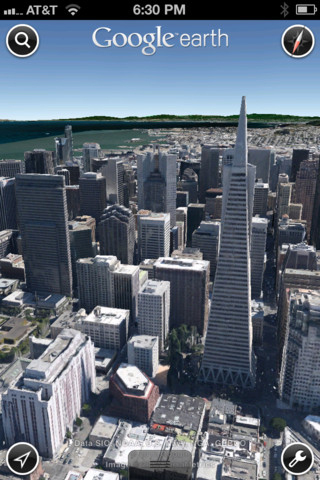 It's similar to Apple's own 3D views in the Maps app. You can search for a specific location, a city, places or businesses. Actually the one disappointing thing in Google Earth is the Google Earth Gallery that feature maps such as real-time earthquakes, hiking trails and city tours. It's disappointing to see that the gallery itself is just the browser gallery, and it's not even optimized for mobile. Just like seeing a badly designed website that's clearly not meant to be visible on the iPhone. 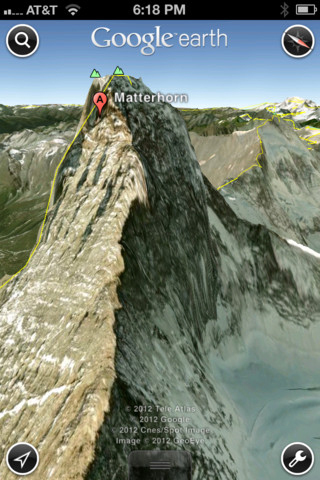 With Google Earth, the world is your oyster and you're holding it in the palm of your hand. Pinch to zoom, use two fingers to rotate and swipe to pan. Google Earth's interface is intuitive and really easy to use. Its graphics are impressive and the 3D views are stunning. The bigger iPad screen is obviously more suited for this beauty, but its iPhone counterpart leaves nothing to be desired either way. 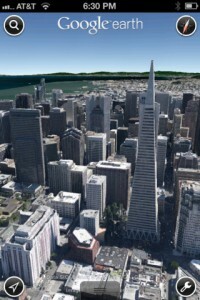 All in all, Google Earth is one of Google's greatest experiences on the iOS. What do you think of Google Earth? Scroll down for our comment section and let us know!